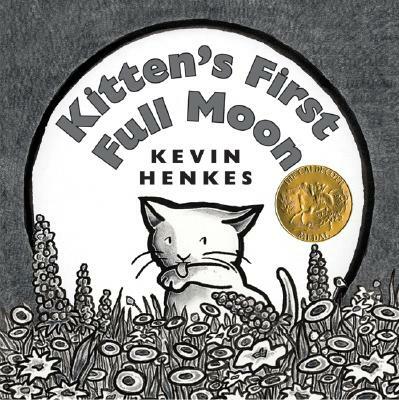 Today’s preschool storytime was an homage to fabulous felines! Continue in the same manner with all the other animals. 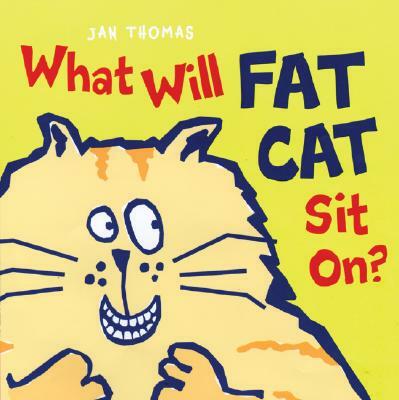 Before beginning the flannelboard story I asked all the kids what sound a cat makes. Then I brought up that if I cat has a fiddle like this one (and placed the cat on the board), then the sounds it makes is “fiddle-i-fee”! This helped prep the fact that the cat wasn’t going to be saying what you expected it to. 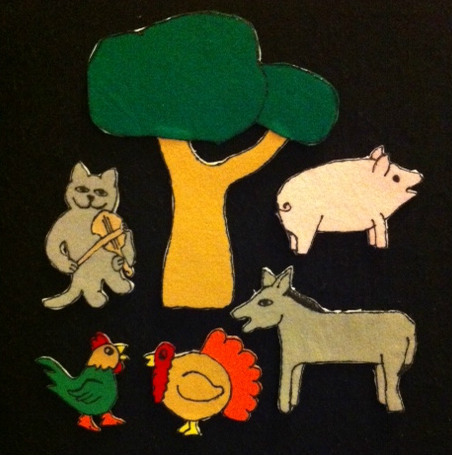 Depending on your group size it may make sense to change the number of animals you use during the story. 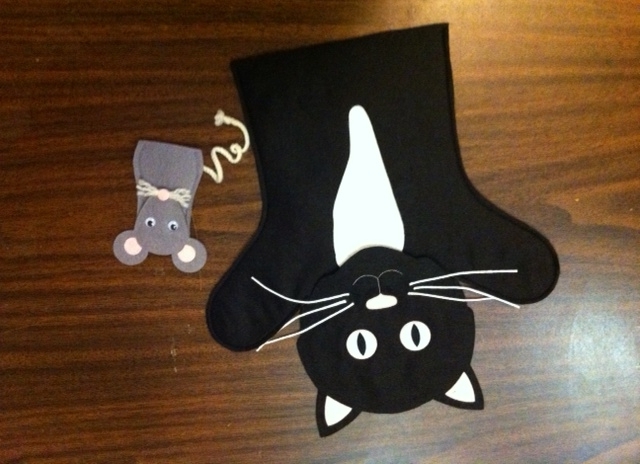 “Splat the Cat” from Splat the Cat…and Other Furry Friends! 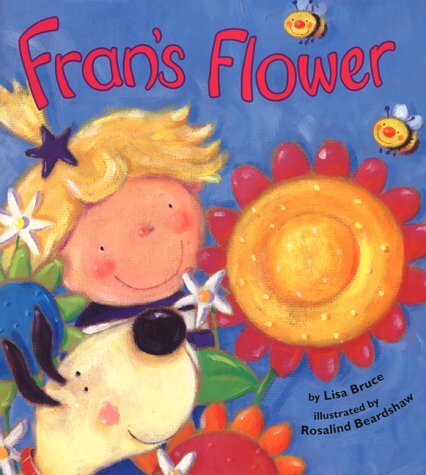 Today’s preschool storytime was on pizza. While our 10am storytime might be a little too early to enjoy a slice, everyone still got into the theme! 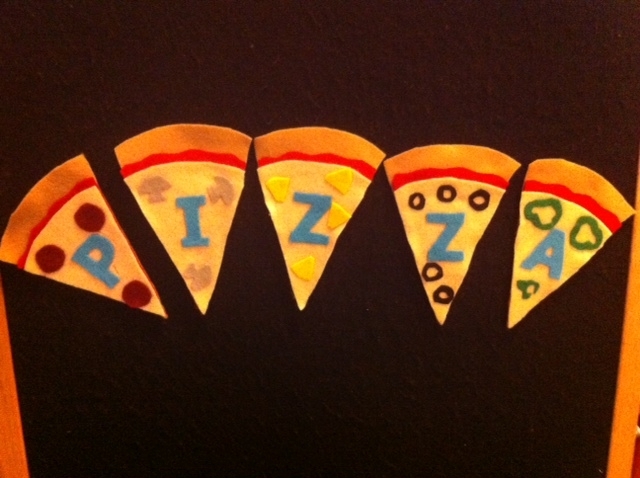 “There is a treat that’s good to eat and pizza it its name. Continue until you are clapping all the letters. To remove the flannelboard pieces from the board I like to ask “How many pieces of pizza did we eat?” Then as we count to five I take the slices down. I took this flannelboard idea from Katie and Company and embellished it a little to include different toppings and make the story a little more colorful. Pizza man, pizza man turn around. Pizza man, pizza man give the dough a toss. Pizza man, pizza man ladle on the sauce. Pizza man, pizza man sprinkle on the cheese. Pizza man, pizza man touch your knees. Pizza man, pizza man put it in the oven. Pizza man, pizza man press the oven button. 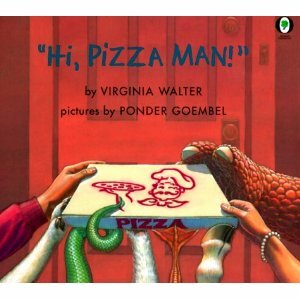 Pizza man, pizza man rub your tummy. Pizza man, pizza man eat some pizza! Yummy! 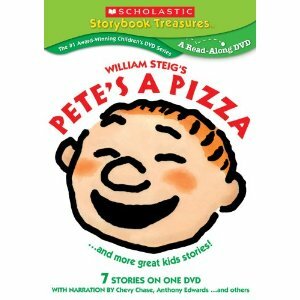 “Pete’s a Pizza” from Pete’s a Pizza … and more great kids stories!